Named one of the "Top 10 of the year in classical music" by the Boston Globe! 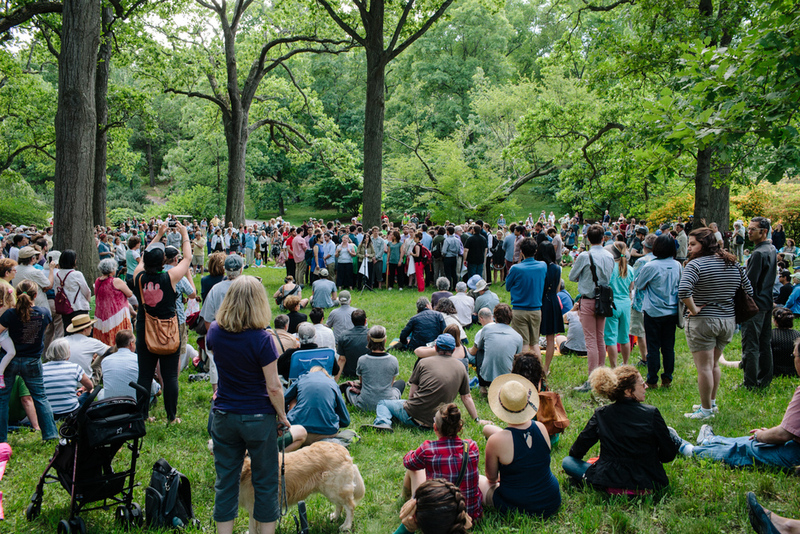 On June 12, 2016, Kadence Arts and The Arnold Arboretum of Harvard University hosted the Massachusetts premiere of John Luther Adams' Inuksuit among the towering oaks and inviting conifers. 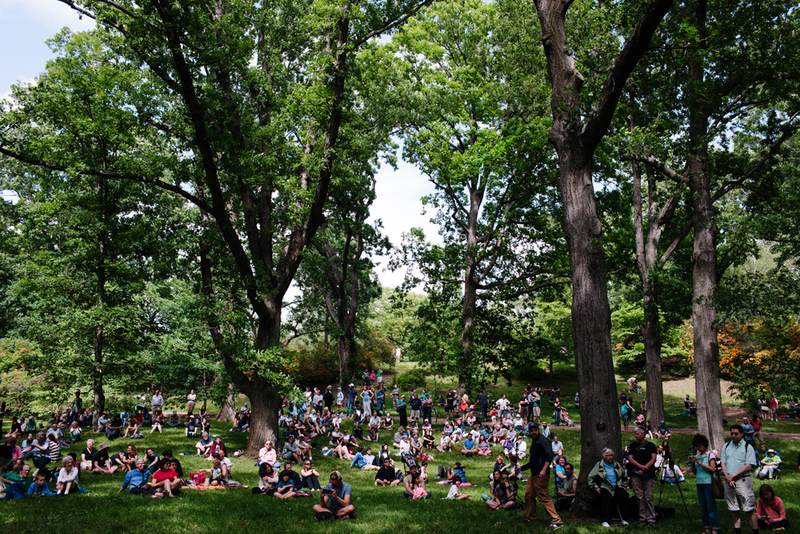 Scored for 9 to 99 percussion players who are meant to be widely dispersed in an outdoor area, John Luther Adams' Inuksuit has been described by the New York Times as "the ultimate environmental piece," while the New Yorker's Alex Ross hailed it as "one of the most rapturous experiences of my listening life." 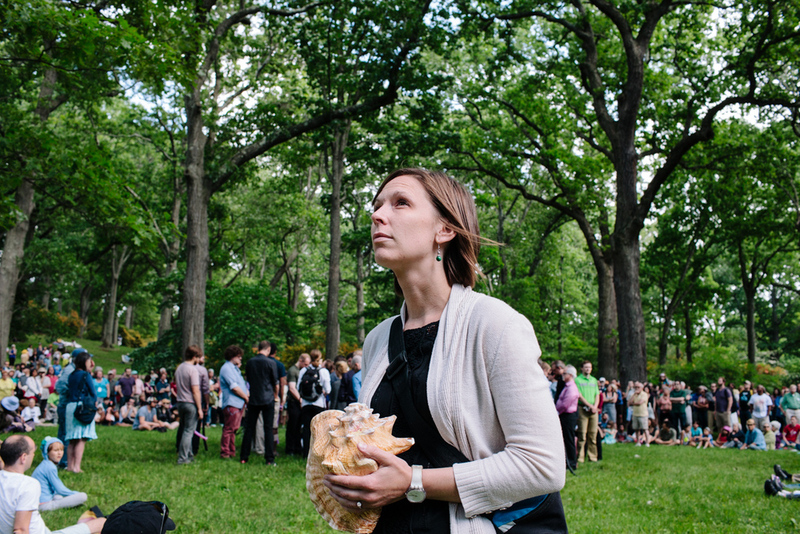 Inuksuit is a 75-minute work by American composer John Luther Adams. Translated as “to act in the capacity of the human,” an inuksuit is a stone marker used by Alaskan Inuit people to navigate the featureless expanses of the tundra. Inuksuit of varied styles and sizes are found marking important sites — migration routes, fishing grounds, memorials — throughout the aboriginal areas of Alaska and Canada. Adams uses this singularly Arctic symbol as a means to require the performers and the audience to confront fundamental questions about who we are, where and how we live, what it means to act in the capacity of a human in an environment in crisis. 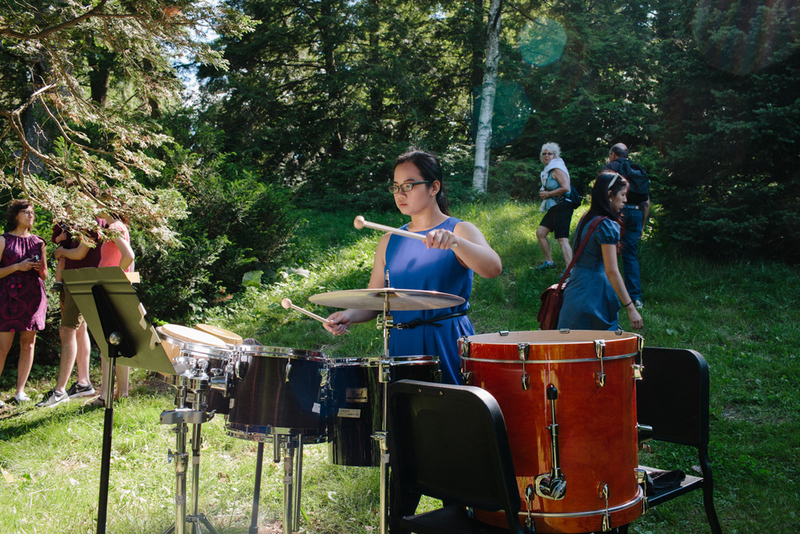 Inuksuit is meant to be played by nine to 99 players dispersed in a large outdoor area, using an incredible array of instruments including conch shells, air raid sirens, gongs, bells, shakers, drums, cymbals, and glockenspiels. It is the ultimate environmental piece, designed to heighten our awareness of the sights and sounds that surround us every day and to energize our experience of our own environment. The work has been performed around the world — in Melbourne, Toronto, Chicago, Berkeley, Lisbon, the Hague, and Belo Horizonte, Brazil, and was recognized among the most memorable performances of 2011 in New York City by the New Yorker, Time Out New York, and New York Magazine.